About two weeks ago during an “Ask The Professor” segment, I was asked by new class member Gayla what documentaries could you not go another day without seeing. It is a well known fact I love documentaries so for those of you that lived for those 2 weeks without them, I will give my list of top 3 documentaries that you can’t go 2 weeks and a day without seeing. Sorry I’m so tardy. I brought a note from HunnyB if you want to see it. She can attest to how busy I’ve been lately. I also want to thank Gayla for asking such a great question and pitching to me right in my wheelhouse! Okay without any further adieu, Let’s Go! 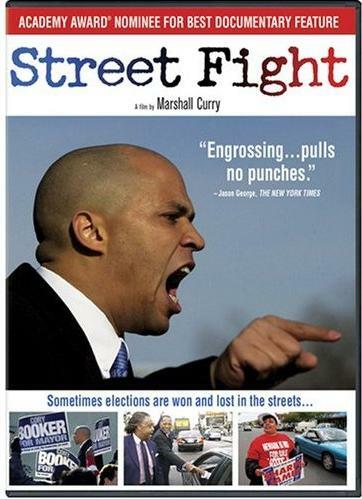 With very important elections coming up, the first one I must mention is “Street Fight”. This is a raw and gritty look at the mayoral election for Newark, New Jersey that pitted upstart underdog Corey Booker against long time incumbent Sharpe James. This doc takes you behind the scenes of Corey Booker’s campaign. Sharpe James wouldn’t allow the director to film him at all because he had been filming Corey as well. And that’s just the beginning. Signs torn down, businesses closed due to political alliances, and in a mayoral race with two black men running against each other, race is even an issue. You have not seen mudslinging until you see this. It is a great doc and you really can’t afford to miss this one. It is available on Netflix for instant viewing which is how I first saw it. I don’t care how you see it but it see it. 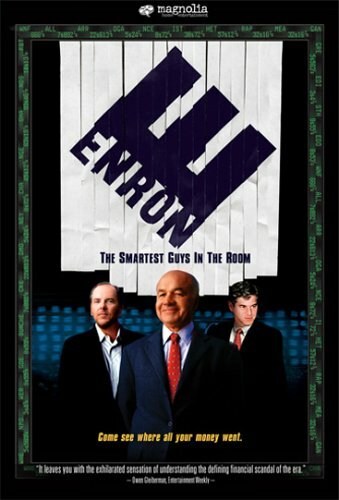 Next up is the Enron story, “The Smartest Guys In Room”. The first documentary on my list was to get you to focus on your community, this one is to get you to focus on your money. I was intrigued by this story but I wanted to hear what actually happened, not speculation of what they believed was happening at that moment. This doc was worth the wait. You see how Kenneth Lay and Peter Skilling took not just their employee’s money but how they defrauded the whole world, got Ahnold elected governor of California, and played musical power plants with the power grids on the west coast. There’s coverage of the company shareholders meeting where they are telling the employees not to sell stock even though it is plummeting and they are unloading their shares for millions of dollars. Some of them even get away clean. They explain mark to market accounting which is a complicated shell game that is made understandable in this film. It’s important to know this because this is the way they got away with ripping off millions until it all came crashing down. This movie is important because despite Enron’s very public failure there are people hard at work trying to take your money right now, even as you read this. I’ve heard it said before as hard as you are working to make your money, there’s at least two people working just as hard to take it. This movie shows that it isn’t always a guy with a ski mask and a gun. Sometimes it’s a guy with an Armani suit and an inkpen. One may take what’s in your wallet, the other will take all of your savings. Which one do you think you should be worried about the most? 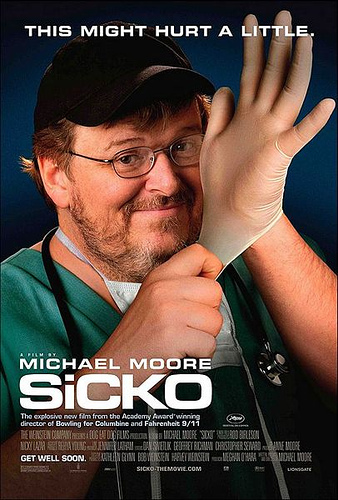 The last documentary on the list of must see docs is Michael Moore’s “Sicko”.The first doc focused on your community, the second on your money and now, most importantly, this doc focuses on you. It does not matter which side of the healthcare fence that you may sit, the lack of care in this country affects all of us. I picked this one because it is not as political or as left as some would like to believe. This is about how many of us WITH health care are having our claims denied, being charged insane deductibles, and stories where people have died due to not being close enough to a hospital that takes their insurance. So many people think that they have “good” insurance. Insurance is one of the biggest legal hustles ever. No matter who your insurance is with it’s a hustle. It’s good when it works well but so often it doesn’t. This movie is one you must see because whether you agree with the current healthcare plan, after seeing this you will agree that something needs to be done. These 3 docs are the ones you can’t go another day without seeing. Not my 3 favorite because that’s another question. And that’s not what she asked me. I chose these three based on their importance. They are all easily in my list of best docs but these need to be seen as soon as possible. Oh, and for record, I am more than willing to discuss these whenever. ~ by Professor Mike on October 31, 2010.